NEW YORK – Most of us have witnessed and perhaps even experienced how painful the holidays can be. And these accidents are often highlighted in many movies our friends and neighbors watch on a yearly basis. The two burglars from Home Alone suffered immense injuries: stepping on broken ornaments, grabbing a red-hot door handle and getting whacked in the head with a shovel. Somehow, Harry and Marv lived to torment Kevin in a sequel. I can’t even begin to describe the many accidents Clark Griswold endures in Christmas Vacation. Aside from crashing his car into a snow bank, Clark found himself in several other painful predicaments. Although these films are dramatized, holiday accidents are often real – and really painful. A New York slip and fall attorney at Cellino & Barnes says there are many ways things can go wrong during the holidays – and we now have statistics to show for it. Children are also at risk during the holiday season. Many young children simply love sticking things in their mouths – including Christmas lights, ornaments and other decorations. In total, it is estimated that more than 90 children will visit emergency rooms this time of year for injuries that can be traced back to the holiday spirit. However, the most at-risk age group are middle-aged Americans – and many of them are injured doing Clark Griswold-esque activities. 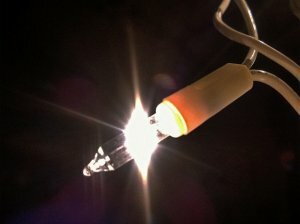 The CPSC described more than 130 incidents of people between 45 and 65 suffering foot fractures, shoulder injuries, back injuries, and concussions from falling off ladders or getting electrocuted while trying to break a world-record for most Christmas lights drawing power from a single plug. According to the CPSC, many of the holiday-related accidents are also fueled by alcohol. The Manhattan slip and fall attorneys at Cellino & Barnes urge any accident victim to seek immediate medical attention. In many cases, those who have been injured may also be entitled to compensation. If you’ve been hurt by someone else’s negligence, call an experienced attorney at Cellino & Barnes today for a free case evaluation. MELVILLE, N.Y. – As colder temperatures moved across the state this week, it came with some snow. And whenever the snow falls, kids are ready to hop on their sleds and find the nearest slope to slide down but doctors and Long Island personal injury lawyers are urging parents – and property owners – to put safety first. A new medical study by Gillette Children’s Specialty Healthcare found that almost a third of the children who were taken to the emergency room after a sledding accident suffered head injuries. In many cases, the injuries were very similar to those seen in skiing and snowboarding falls. The results have doctors and researchers alerting parents to put helmets on their children when they’re heading out to enjoy the slopes, in any form. Their rule of thumb is: if the sled, skis, or snowboard can go faster than you can run, wearing a helmet is a wise precaution. A Long Island personal injury lawyer at Cellino & Barnes says property owners should also take precautions to make sure an accident doesn’t happen under their watch. Long Island personal injury attorneys say many sledding injuries are related to the condition of the property where the accident occurred. Investigators often find dangerous hazards that sledders aren’t warned about before sliding down the hill. In 2014, for example, a teen suffered severe injuries after hitting a chain-link fence while sledding at a Nebraska school. The school district settled the case out of court. Whether a sledding injury occurs on public property, private property, with a helmet, or without a helmet, it is always wise to have a professional legal investigator take a look at the circumstances surrounding a sledding accident. Cellino & Barnes has been trusted by New Yorkers for over 50 years, and with offices across the Empire State, our attorneys have experience handling many types of injuries related to winter-weather and winter sports. If you or your child has been injured while sledding, contact an experienced Long Island personal injury lawyer at Cellino & Barnes for a free case evaluation. ROCHESTER, N.Y. – Many of us start our day by putting on our boots, grabbing the shovel and heading outside to clear our driveways and sidewalks. At least, you’re supposed to clear your sidewalk. 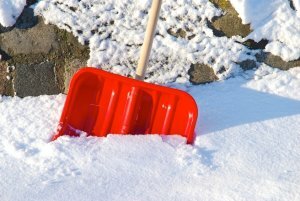 In many cases, your neighbors might let it go but a Rochester slip and fall lawyer at Cellino & Barnes says neglecting to shovel your sidewalk could leave you on the hook if anyone is injured. Shovelers also need to take care of their own health. Rochester slip and fall lawyers say shoveling or firing-up the snow blower seems like a simple activity but they’re more dangerous than homeowners are willing to admit. 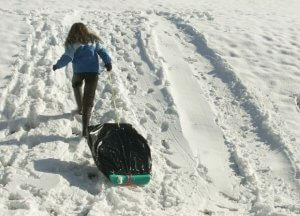 A recent study found that more than 11,000 people are hospitalized every year for injuries suffered while moving snow. Thousands more likely tweak a muscled and don’t visit the doctor for weeks or months – by that time they may have forgotten how they got injured in the first place. 2. Dress for the weather – it goes without saying: it’s cold outside. Muscles tend to operate more efficiently when they’re warm and the best way to stay warm when it’s below freezing is to wear layers and keep your extremities covered. If you experience any chest pain or have shortness of breath, it’s important to stop immediately and if it persists, contact a doctor. In many cases, these symptoms can be related to heart disease. When you aren’t physically able to remove the snow, it’s still not an excuse to let the white stuff pile up. Rochester slip and fall attorneys say homeowners are usually granted a 24-hour “grace period,” so the second the snow stops falling, the clock is ticking! If you don’t remove the snow in time, you could face a $150 fine or worse – someone gets hurt trying to traverse your Siberian-styled sidewalks. Rochester slip and fall lawyers recommend calling a snow removal service in your area if you cannot physically remove the snow yourself. In many cases, you and your neighbors can rely on these services 24/7 and save someone else from a visit to the emergency room. Unfortunately, many of your neighbors forego this responsibility and thousands of people get injured attempting to walk a slippery sidewalk. If you are one of those victims, Cellino & Barnes has helped countless others like you get the best result possible. Contact a Rochester slip and fall lawyer today for a free case evaluation. BUFFALO, N.Y. – It was just before dusk on Sunday afternoon. I was walking around the house when something caught my eye outside, across the street in the snowy trees. I stopped what I was doing and peered out the window through the snow flurry to try to figure out who – or what – was rustling around in the woods. By the time I realized what it was, he jumped out of the trees onto the busy street. Screeching tires, a blaring car horn and the crunching of metal is all I heard next. It’s that time of year again; and I’m not just talking about the holidays. It’s deer season; and I don’t mean hunting. In my story, it was nearly the worst-case scenario: the deer escaped the crash and Prancer made it safely across the street to my apple tree in the back yard. The two drivers that nearly struck the 6-point buck scraped each other’s vehicles. Luckily, the collision was a minor sideswipe and neither driver was hurt but a Buffalo car accident attorney at Cellino & Barnes says animals are linked to hundreds of deer-car crashes each winter. Although the data is still being collected for the fall and winter of 2016, there’s evidence to suggest this will be a bad winter for drivers and deer. According to new statistics from State Farm, New Yorkers have a 1 in 161 chance of hitting a deer and filing a claim. Unfortunately, with millions of motorists, and the majority of the population living downstate (where there are fewer deer), these statistics may be skewed for upstate and Western New York drivers. Pennsylvania’s data may be a more reasonable comparison for non-city drivers. In the Keystone State, 1 in every 67 motorists will file a claim after hitting a deer – third highest chance in the nation. The likelihood of running into Bambi on the roadway more than doubles in the last three months of the year: October, November and December during the animal’s mating season. Add snowfall to the mix and it makes this time of year extremely dangerous. Not only are deer searching for a mate this time of year – they’re also looking for food buried under the snow, so they’re constantly on the move. 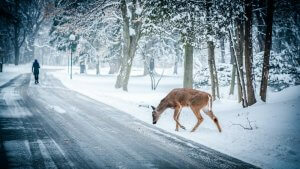 In rural areas, deer collisions may account for nearly half of all motor vehicle accidents this time of year. Buffalo car accident attorneys say it is important for drivers to maintain control of their vehicles at all costs: the last thing anyone wants is to cause a crash with another vehicle or a pedestrian. If you’ve been injured in a car crash, the Buffalo car accident lawyers at Cellino & Barnes can help you get the best result possible from your claim. Contact an experienced attorney in Buffalo today for a free consultation. NEW YORK – A pair of toddlers were killed while napping near a radiator in their Bronx apartment, officials said. 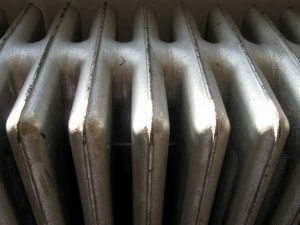 The radiator exploded and filled their bedroom with scalding steam, the Daily News reported. The Daily News reported the girls’ father, Peter Ambrose, emotionally said the children were “the most beautiful babies in the world.” Reporters said their mother, Danielle Ambrose, found the girls in the room, filled with steam, after she opened the door to check on them. CBS New York reported that Peter Ambrose, Danielle Ambrose and their children had recently moved to the city from Boston and were living in the Hunts Point building, where the city often places homeless families. Stunned, many of the neighbors stood outside the building at 720 Hunts Point Avenue where Peter Ambrose and Danielle Ambrose were housed. Several neighbors told the Daily News that it was evident that the couple loved both of their children and that the building has had its share of problems. The incident has sparked an investigation of the mixed-use building that housed the two toddlers, ages 1 and 2. According to city records, there have been about 60 complaints at the building and housing inspectors have visited units several times this year for complaints of “no heat” in October and a faulty radiator valve in November. In any personal injury case, this evidence can be used in court to help the victims fight against the landlord for justice. There is so much pain and suffering because of an avoidable horrific accident. City records show that housing officials cited the ownership group of the building at 720 Hunts Point Ave. with a code violation concerning “gas connections” but the citation does not say what, if anything, the property managers did in response. NEW YORK – For millions of active Americans an injury can feel like a death sentence. Exercise is a vital part of an active and healthy lifestyle but an injury can change all of that in an instant. For those who enjoy physical activity, having to ‘sit-it-out’ can trigger weight gain, depression, anxiety, and even suicidal tendencies a Princeton study found. Some people may never truly recover from an injury because of its devastating effects on personal exercise habits. If your goal is to live a healthy and long life, you need to find ways to manage your injuries or overcome them. While that sounds like a tall task, a Brooklyn personal injury attorney at Cellino & Barnes says it’s not impossible. Aside from physical rehab, how do you stay active while injured? The answer is often complex and it depends on your injury. For lower body injuries, it’s often crucial to ease back into physical activity. Activities like rowing are common recommendations until the lower body is ready for activity again. For upper body injuries, doctors recommend exercises that reduce stress on joints. Activities in the water or stationary bikes can sometimes reduce upper-body use while still providing the exercise you’re looking for. Those with back injuries are in a tough spot: rehab experts say almost any physical activity could cause detrimental complications but according to new research, there are some activities that allow even those who have suffered the most serious injuries to burn some calories. It’s called nonexercise activity thermogenesis (NEAT for short). Basically, they’re small, simple exercises that can burn calories. Researchers believe these activities explain why two people on identical diets have different experiences with weight loss. Doctors have concluded that these simple activities add up. In some cases, NEAT movements can burn up to 2,000 calories per day. In every case, Brooklyn personal injury lawyers say patients should consult with their doctors before beginning a new workout regimen. But don’t assume that you can’t burn calories just because you can’t run or lift weights. If you or a loved one has been in an accident, know that the Brooklyn personal injury attorneys at Cellino & Barnes have helped their clients receive over $2 billion in compensation – and with their ‘No Fee Promise,’ you won’t be charged for their legal representation unless they win your case. Call a Brooklyn personal injury lawyer today for a free case evaluation. ROCHESTER, N.Y. – Like it or not, the cold temperatures are here and when the mercury dips below freezing, there’s a chance you can get injured – or be on the other end of a personal injury claim. Each year, millions of people slip on ice. 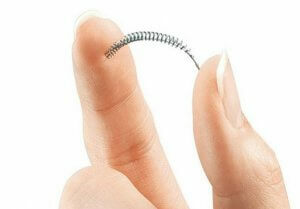 Not only can a fall like that be painful – it can be costly too. Slips on ice account for over 30 percent of all slip work-injury claims, an analysis by the Accident Fund Insurance Company of America found. Generally, slip and fall victims are awarded significant compensation when their attorney can prove that an employer or a property owner did not supply a reasonably safe environment for their workers, customers, tenants or others. So, the best way to avoid being liable for a slip and fall injury is to prevent one from happening this winter. A Rochester slip and fall attorney at Cellino & Barnes says there are several precautions property owners can take to make sure they’re doing everything they can to avoid an accident – but many people neglect these safety measures. Look for leaks. When the temperatures drop, water forms ice. The best (and easiest) way to avoid an ice problem is to eliminate any leaks that could form an icy patch. If some of these leaks cannot immediately be fixed, close off the area. Check for ice. This seems obvious but many injuries happen in places that property owners don’t look. 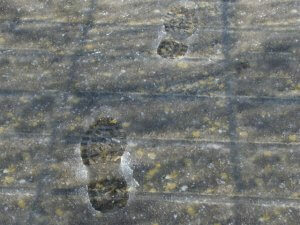 Regularly check pathways (both high and low traffic areas) for ice build-up. Signage. It’s always a good idea to invest in some signs to warn people entering or exiting a building that certain areas may be icy or slippery. These signs should be clearly visible and noticeable by anyone who could be walking in the area. Simply alerting people that a floor may be slick tells them to walk a little slower and more carefully. Melt the ice. There are several cost-effective solutions you can find at hardware stores to avoid the build-up of ice. Simple rugs can be placed at entrances inside a home or business. Outside, the old shovel and scrape is the best technique as it eliminates ice and snow. Sidewalk salt can be used but it comes with some issues: Ice takes a while to melt and as it turns into water, it can make the area even more slippery. Many of these ‘tricks’ are simple and can improve safety rather quickly but a Rochester slip and fall attorney says many people, unfortunately, neglect their responsibilities as a property owner and eventually, someone can get hurt. If you’ve been injured after slipping and falling on ice, the Rochester slip and fall lawyers at Cellino & Barnes can help you get the best result possible. As one of the most recognizable personal injury firms in Western and Central New York, many of your friends and neighbors have trusted Cellino & Barnes to help them get compensation for their injuries. The firm’s ‘No Fee Promise’ guarantees injured victims that their lawyer will always put the clients’ interests first. Contact one of their Rochester slip and fall attorneys now for a free case evaluation. NEW YORK – A Brooklyn man was struck and dragged under the wheels of a tractor-trailer Thursday morning, authorities said as they investigate another deadly accident in Williamsburg. Police, witnesses and the victim’s family told DNAinfo Moshe Yide Weiner, 21, was walking on Kent Avenue near South 10th Street when he was hit by a truck on Kent Avenue at around 11:10 a.m. Nearby construction workers witnessed the accident and some claimed they recognized Moshe Yide Weiner, saying he frequently made deliveries to the construction site. An ambulance rushed the man to nearby Beth Israel Hospital but police said Moshe Yide Weiner later died from his injuries. A Brooklyn truck accident lawyer says drivers of tractor-trailers must constantly be alert when driving in New York City but there are many more factors that should be analyzed when a person is struck by a large vehicle – including possible problems with the roadway itself. 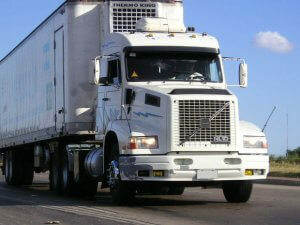 Each year, thousands of New Yorkers are injured or killed in truck crashes that are traced back to driver error. An extensive legal investigation can analyze a trucker’s driving record and the number of hours the he has spent working; both outside the truck and while behind the wheel. A successful claim can also spark meaningful changes in our community that could improve the safety for others in Brooklyn so accidents like the one on Kent Avenue that killed Moshe Yide Weiner can be avoided in the future. If you or a loved one have been hurt in an accident, contact one of our Brooklyn personal injury lawyers for a free consultation at (800) 888-8888. BUFFALO, N.Y. – After years of progress, the number of road collisions is on the rise again and if you believe in statistical trends, brace yourself for more crashes. According to a statistical analysis from Allstate Canada, there’s been a slow but steady uptick in the number of claims. Last year, Allstate announced that it had identified a trend towards rising numbers of collisions and this year, the insurance company says its latest study demonstrates that the trend isn’t changing. In fact, the roads might be getting more dangerous. A Buffalo car accident lawyer at Cellino & Barnes says the statistics mirror those seen here in the United States – where motorists have experienced the biggest spike in traffic deaths in the last 50 years. Distracted driving is a relatively new concept to drivers in both the United States and Canada. Buffalo car accident attorneys say most drivers weren’t aware of distracted driving before 2005. Thanks to the smart phone, almost everyone who gets behind the wheel knows what distracted driving is – and most drivers admit they’re guilty of it. What began as drivers taking calls or sending text messages is now a much bigger problem today: we can browse the internet, listen to music, use apps, get directions, and even watch videos on our phones from the driver’s seat. Most of this activity is illegal in the U.S. but at any given moment, over 600,000 drivers are using smartphones or other electronic devices while operating their vehicle, the National Highway Traffic Safety Administration estimates. It’s easy to imagine how a distracted driver could cause a crash: failing to stop at an intersection, stopping short in traffic or not paying attention to their surroundings. The roads also get more dangerous as drivers get closer to the end of the work week. Buffalo car accident attorneys say the evidence suggests that drivers are not only more distracted than ever before; there’s also more traffic and even the most careful drivers must be defensive and on the look-out for others who could put their safety at risk. If you’ve been injured by a negligent driver, trust the firm that New Yorkers have turned to for over 50 years. With multiple offices conveniently located throughout Western New York, the Buffalo car accident lawyers at Cellino & Barnes can help you and your family get the best result possible.